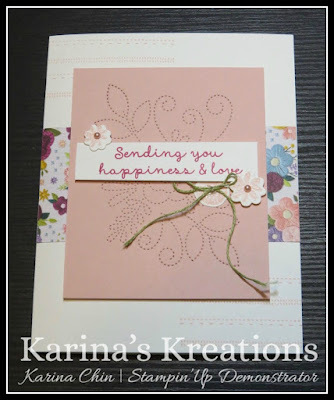 Karina's Kreations: Stampin'Up Needle and Thread Sneak Peek! Stampin'Up Needle and Thread Sneak Peek! 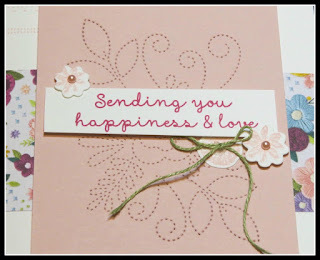 Stampin'Up has a new catalog coming out January 3. This is a sneak peek of one of the stamp sets. The set is called Needle and Thread and has coordinating Needlepoint Elements Framelits dies. This stamp set also coordinates with the Needle Point Nook Designer Series Paper. If you have a demo number, you can order these products Dec 5.